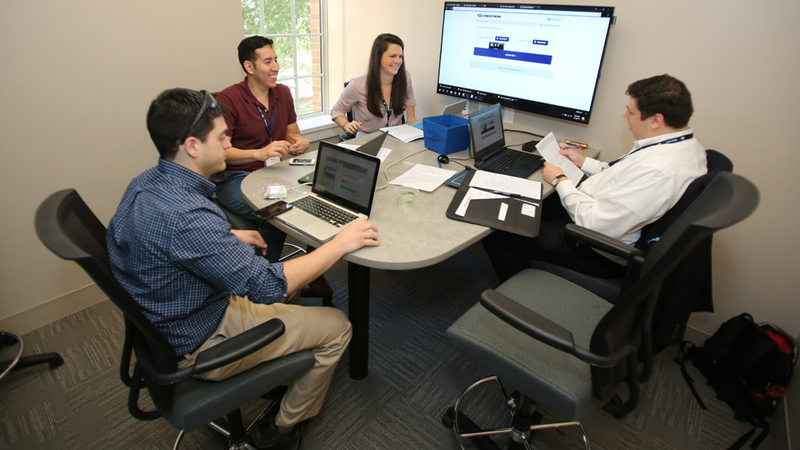 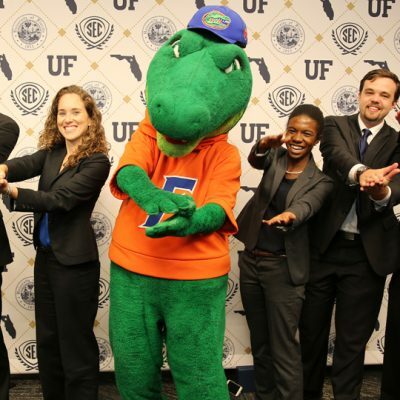 A team puts together its presentation for the 2017 SEC MBA Case Competition held at the University of Florida. 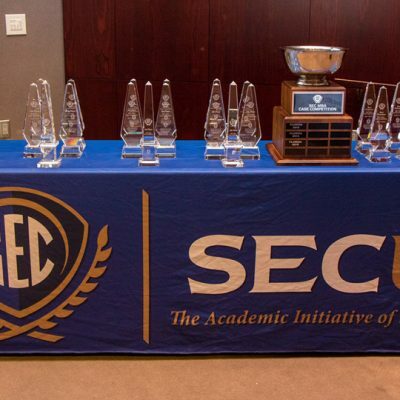 SEC MBA students compete for various awards that include the traveling trophy. 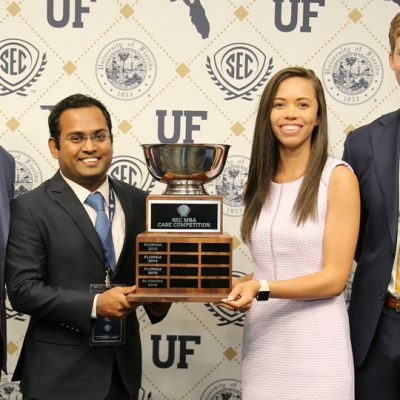 The University of Georgia won the 2017 SEC MBA Case Competition held at the University of Florida. 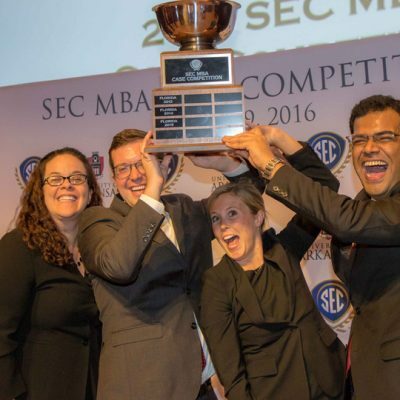 Competitors and team advisors pose for a picture prior to the 2016 SEC MBA Case Competition that was held at the University of Arkansas. 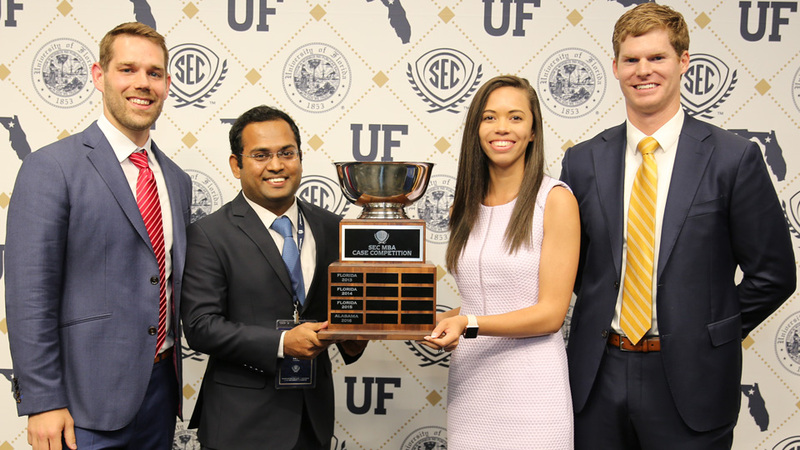 These graduate level competitions provide an opportunity for SEC business schools to showcase their students’ skills at solving simulated, real-world problems that cover the spectrum of business disciplines. 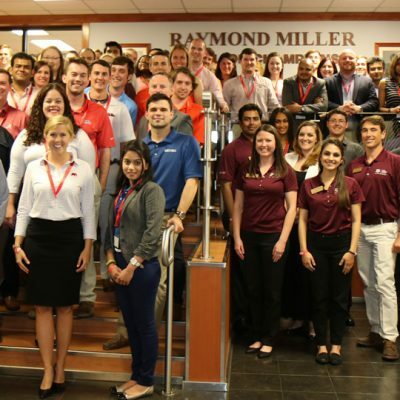 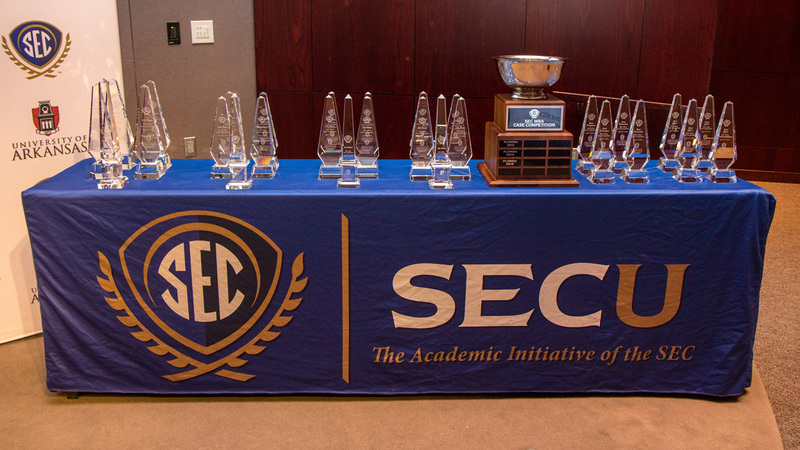 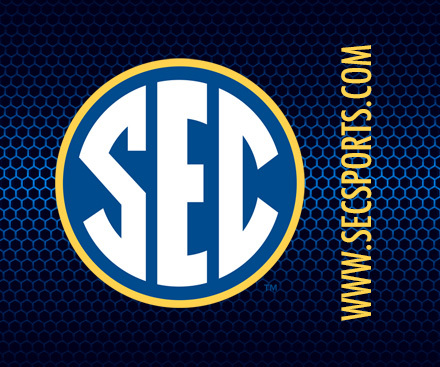 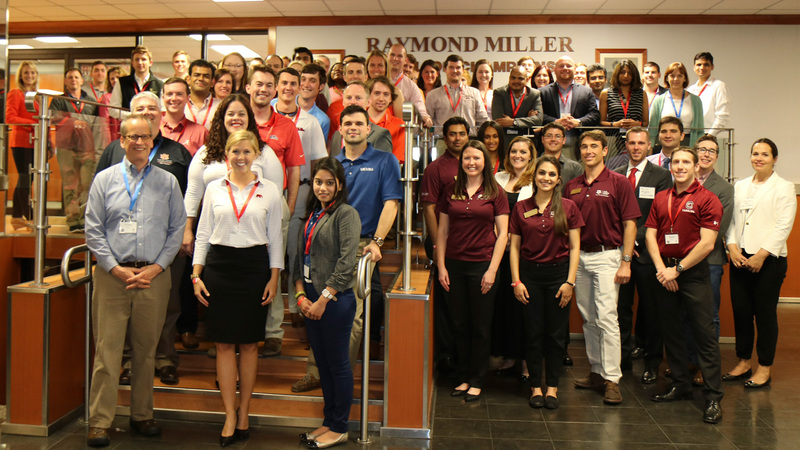 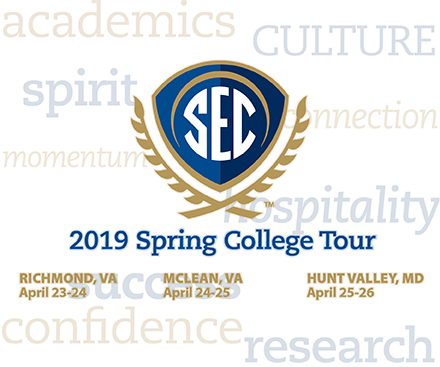 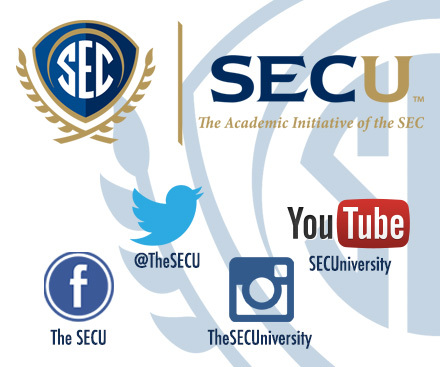 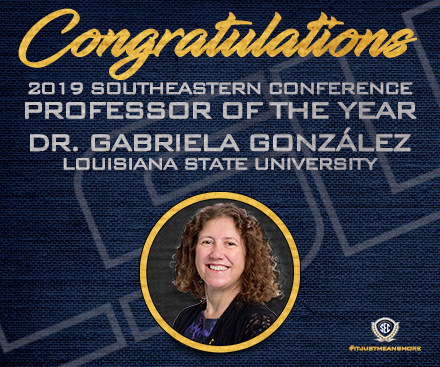 The competition is held on one SEC campus and teams of four MBA students compete against other SEC teams, the best receiving various awards and recognition.